← KIDS’ BLOG! Do You Love Being Fashionable? So Did Our Ancient Ancestors! History can be difficult to understand. The way it is told and interpreted depends on the point of view of a person or a culture, the time period from which it is being viewed and a thousand other variables that affect what is actually perceived as the truth of history. One of the greatest tools for anyone wanting to learn more about the past is often overlooked. Maps do more than tell us how to get where we’re going. Maps give us visual representations of the past. They can illustrate growth and movement of civilizations, the spread of various cultures, patterns that repeat themselves throughout time and so much more. Today we’re bringing you some fantastic resources that will help to illuminate the past and explain it in ways you may never have considered. These are great sites to use on your own or in the classroom. First, let’s take a quick look at the history of map-making. Cartography, the art and science of making maps, is ancient. 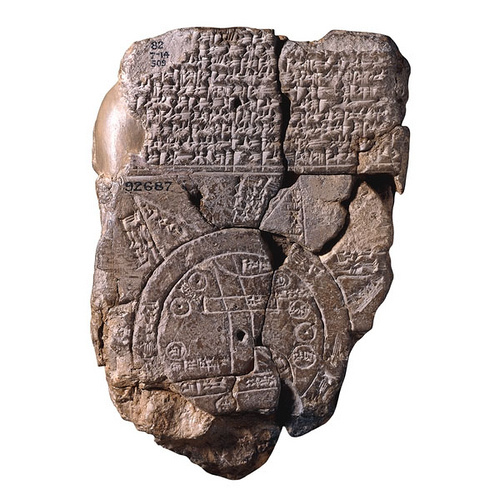 The earliest known evidence of maps is found on Babylonian clay tablets from around 2300 BCE. Many civilizations such as the Egyptians and Greeks used maps regularly to impose order on their world. The Chinese drew maps as far back as the Qin Dynasty (221-206 BCE). In fact, it is said that the Greek philosopher Anaximander (c. 610-546 BCE) was the first to create a map of the known world. Babylonian clay tablet circa 2300 BCE. Oldest known map. 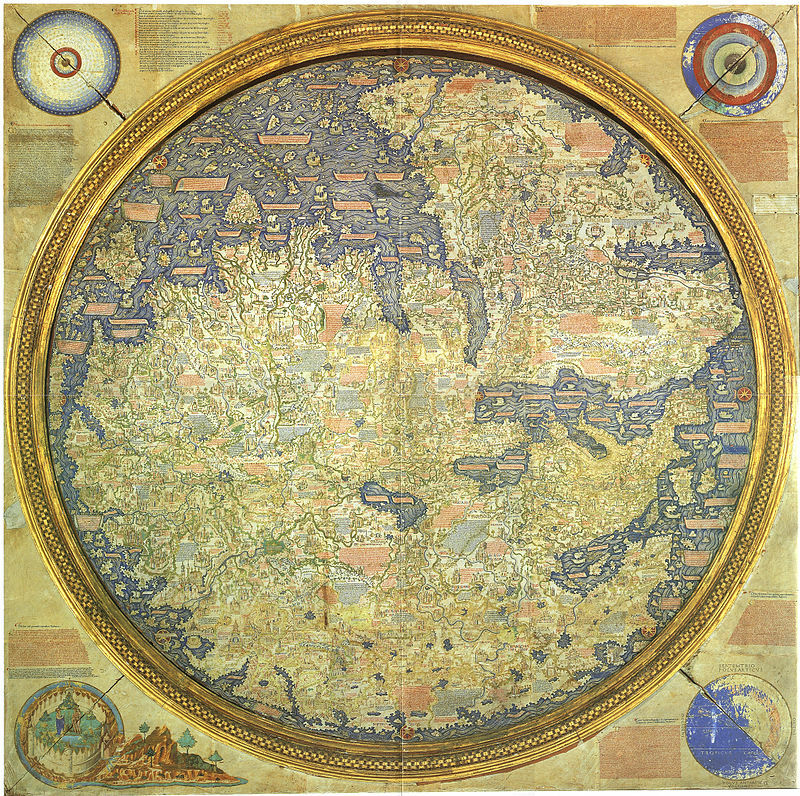 Map-making continued to make significant jumps forward throughout the Renaissance and into the modern age. As new areas of the world were discovered and mapped, our understanding of the globe and its position in the heavens broadened along with practice of map-making. Today, maps are not simply made to chart the world around us, but to understand that world and its people. *Most, but not all, of these collections are provided by Vox.com, a great resource for map lists. 40 Maps That Explain the Roman Empire– Think you know the Romans? Think again. This will give you a whole new perspective. The Roman Empire Map– One map that can be changed and explored, compared and contrasted by clicking on the specific time period, emperor, etc. that you wish to see. 40 Maps That Explain the Middle East– This incredible collection of maps helps to illuminate the Middle East, its past, present and future, in ways you may never have considered. 38 Maps That Explain Europe– Addressing its history, people, economy, politics, culture and more, this list will give you a brilliant way to explore Europe. History of Europe Interactive Map– Mouse over areas to get more information about a myriad of topics. History of the Dark and Middle Ages in Europe Interactive Map– Mouse over areas to explore this mysterious time in history. 40 Maps That Explain Food in America– Discover how American has sustained its people throughout the centuries and how food is shaping the country today. 40 Maps That Explain Word War I– Examine the Great War in an entirely new way. 40 Maps That Explain World War II– Take a fresh look at the Second World War and discover the ways in which it shaped our modern world. The Ancient World Online: AWOL– Explore a wonderful collection of resources on ancient geography, including numerous maps. 40 Maps That Explain The World– From academia.edu, an expansive collection of past and present. 40 Maps That Will Help You Make Sense of The World– This is a fun and eclectic collection that will surprise and inform you. Don’t miss Maps, Part 2: Defining and Explaining our Past, Present and Future as we explore how space exploration has expanded the boundaries of human perception and understanding. This entry was posted in Art, Blog, Communications, Culture, Education, Public Life, Science and Technology and tagged ancient cartography, ancient history, ancient maps, AntiquityNOW, historic maps, maps that explain the world. Bookmark the permalink. Thanks for this post, but you should consider and emended version with additional postings. For instance you should consider including resources such as the Pelagios consortium (http://pelagios-project.blogspot.com/), the Ancient World Mapping Center (awmc.unc.edu), the Pleiades Project (pleiades.stoa.org), the Digital Atlas of the Roman Empire (http://imperium.ahlfeldt.se/? ), Omnes Viae (omnesviae.org), ORBIS (http://orbis.stanford.edu/), as well as information about ancient maps such as the Tabula Peutingeriana (http://www.cambridge.org/us/talbert/). The AWOL blog has an up-to-date roundup of ancient world geography resources (http://ancientworldonline.blogspot.com/2012/09/roundup-of-resources-on-ancient.html). We so appreciate your comments and links to additional resources. We will incorporate them into the post and the Education Topic Matrix. We welcome feedback and invite submissions from archaeologists, educators, lovers of history and all those who care about preserving our world heritage. Thank you for your support!